Lumberjanes: The Infernal Compass Exclusive HC, signed by Lilah Sturges! Exclusive CBLDF Hardcover Edition of the first Lumberjanes OGN! Hand-signed by Lilah Sturges! 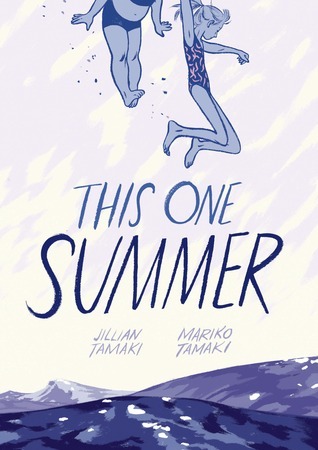 Less than a week after This One Summer by Jillian and Mariko Tamaki was removed from three elementary schools in Seminole County, Florida, the critically acclaimed graphic novel is now under fire in the district’s high schools as well. If that is the case, of course, then the book’s removal from the high school libraries is by no means certain. The lengthy challenge policy includes multiple levels of review: building principal, school-level review committee, superintendent (who may appoint a district-wide review committee), and finally the full school board. At each juncture, if the parent who challenged the book is not satisfied with the result they may appeal to the next level. In this case, that parent will apparently be the mother of a third-grader who originally found the book in an elementary school library–even though those elementary copies have already been removed. Despite WFTV’s continued vendetta against This One Summer, which the new report says is “filled with obscenities and sexual situations,” there is no question that the book is age-appropriate for high school students. Its publisher First Second recommends it for ages 12-18. Last year it received both a Caldecott Honor for illustration and a Printz Honor for outstanding teen books, as well as starred reviews in Booklist, The Horn Book, Kirkus, Publishers Weekly, and School Library Journal. Some libraries and schools have admittedly been caught off-guard by the book’s more mature content due to the common misconception that Caldecott Honorees are always appropriate for elementary-age readers, but there is no reason to consider removing it from high school or even middle school collections. We will be closely watching developments in Seminole County. 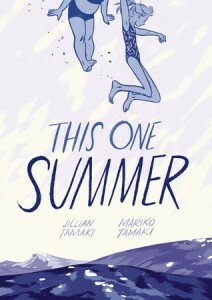 For librarians and teachers who may need to defend This One Summer in their own collections, check out our resource guide which brings together reviews, praise, and award lists that included the book.